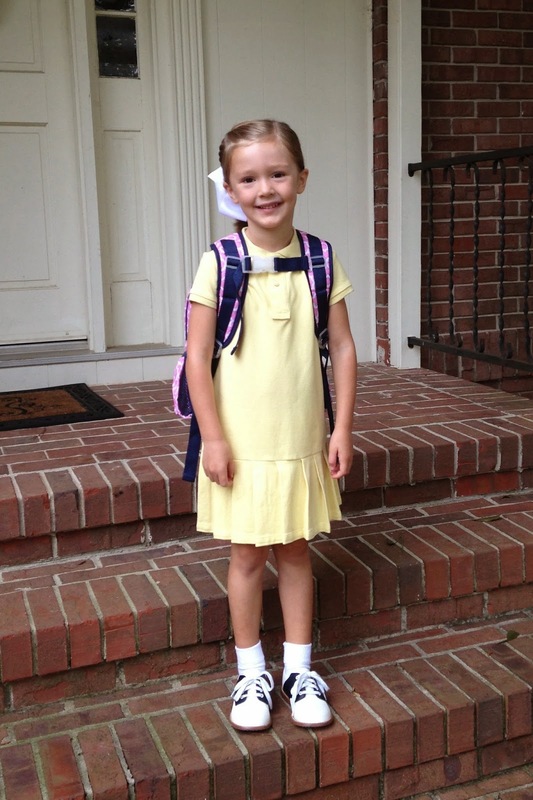 evergreen drive: first day of big school! 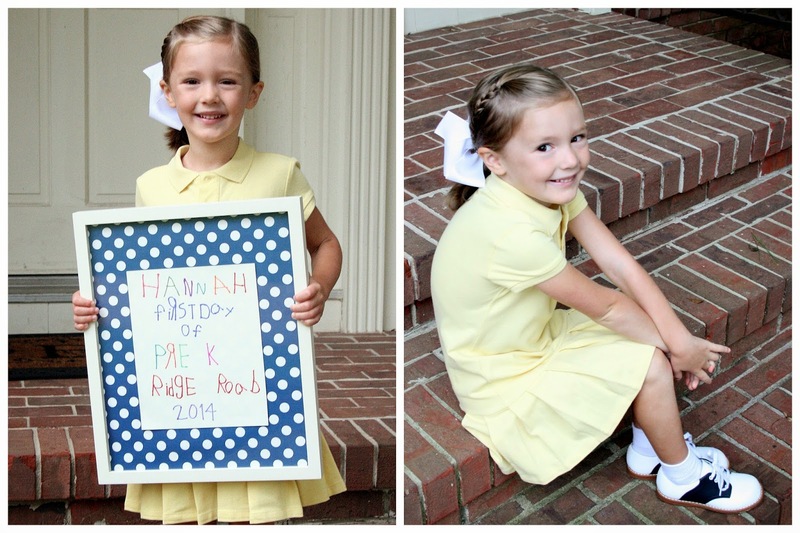 Yesterday was Hannah's first day of pre-k. I'm beside myself looking at these pictures. 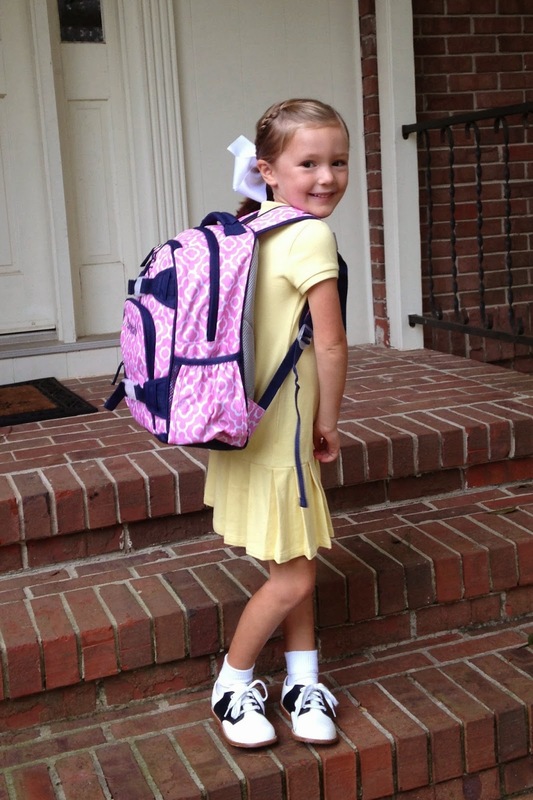 My heart is walking around outside of my body…and now being carried off to big school. She wrote this sign all by herself (except for the year) and I framed it with one of the white frames that hangs in her room, using wrapping paper as a mat. This frame, and the four other ones like it, hung in her nursery, too. So, when I say big school - I am referring to BIG SCHOOL. Not just in size and number of students, but also in the big fact that she is now there all day. My sweet baby girl, who is not such a baby anymore is now away from me every weekday from 7:45 until 3:00. That may not seem like anything significant, like say to all my working-mom friends who often have to go all day without seeing their child. But it is a big adjustment for me. I've been home with her for almost 5 years, minus a few hours in the morning during the preschool year. I've loved our time together while Joseph sleeps in the afternoon. And this summer has been so great! Joe and I held her hands, walking her through the busy halls to her classroom. Her classmates were just lining up to head to breakfast. We started making our way out, stopping in the hall out of sight to watch her walk by single-file. We also spied on her after we got outside through the lunchroom windows for a bit. Yes…we were those parents. I saw a status on Facebook recently making fun of all the emotional parents who are first timers sending their kids to school. And to that, I say - you know what? I love my kids. I've loved being at home with them. And, while it's really nice to have some time to myself, this is a big change. 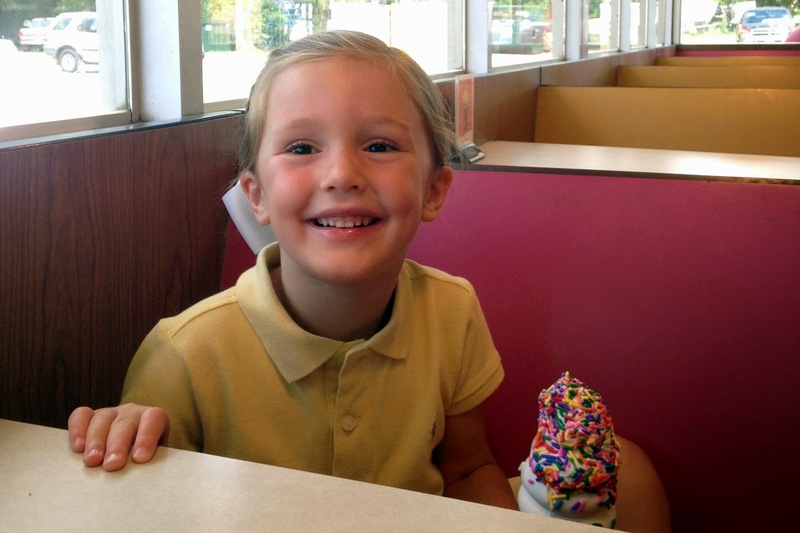 She is my firstborn, and this all-day school thing is a big deal. 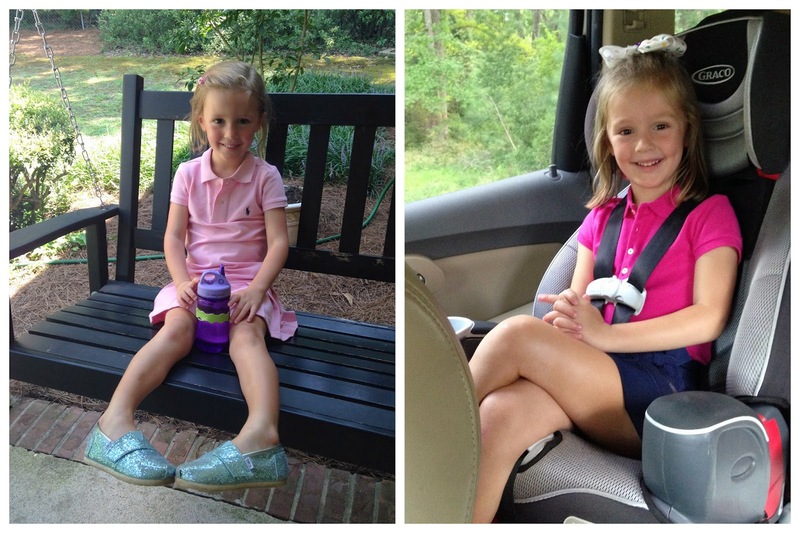 It makes me realize how quickly the time goes by and just how grown she is. So if I am a little emotional about it, then I think that's quite appropriate! And if I barely made it to the car before the tears spilled onto my cheeks, so what?! Really, I am ok. This is a milestone in the life of our little family but one we are ready for. And, as I told a friend who was checking on me via text message, I've got Joseph, so I'm not exactly free yet! Preschool starts in a week and a half, and then I'll have my mornings open again. Truth be told, I am sentimental, but I'm also totally excited about Hannah being in school and love the fact that it's a full day program. I think she'll learn and grow so much this year. I think I will, too. And now we're 3 days in. She's loving it! After holding our hands on Monday walking into school, yesterday she took off and I had to keep telling her to slow down. 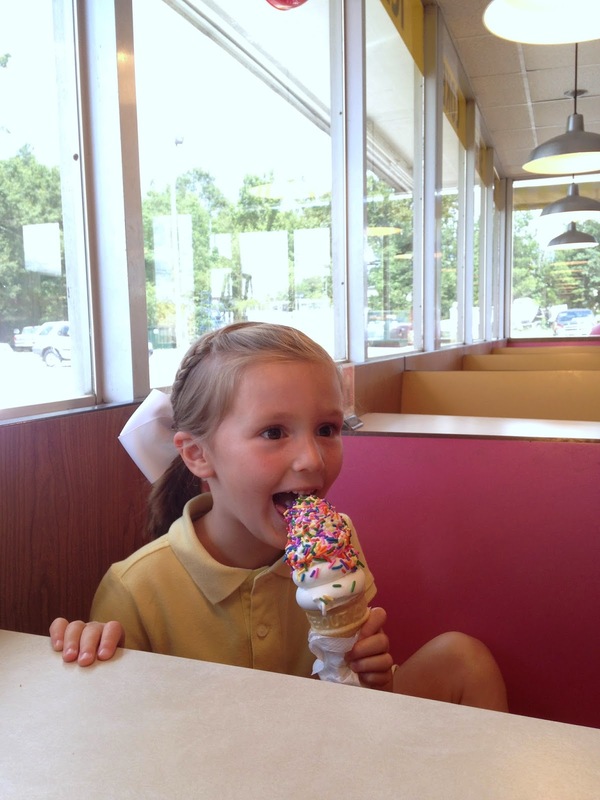 She couldn't wait to get to her classroom! I am so proud of her for being so brave, in a new place with a whole lot of new people. She is a sweetheart, and I know she'll make friends fast. Love my big school girl! Wow Lindsey. 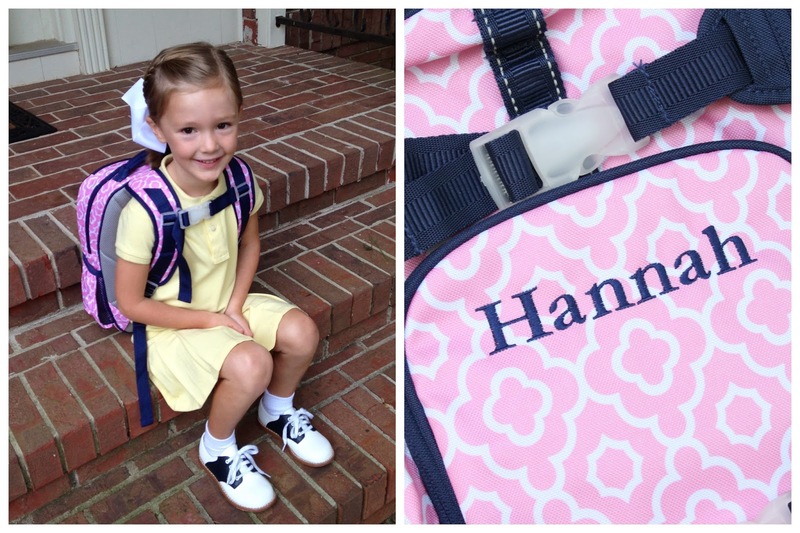 Hannah is so big and so grown. And so beautiful. I had tears in my eyes as I read this post as while I am "used to" not seeing my girls during the day, it doesn't mean I don't get how emotional this day was for you. Hannah is growing so quickly, and I know it's exciting for you how much she is going to learn and grown and change this year, but it's probably also a bit sad. Time just seems to pass so very quickly! I am so glad she is loving it so far. I hope things continue to go well for all of y'all! She looks just beautiful and sooo happy. 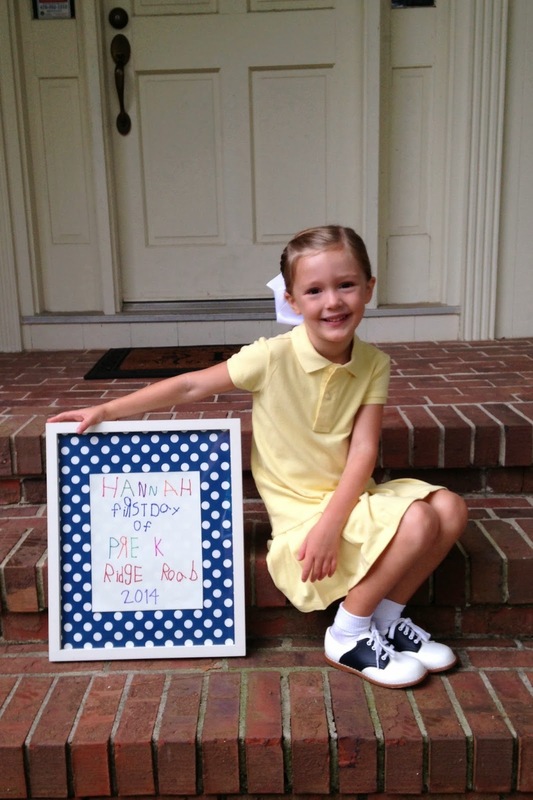 Congratulations on your first day of "big school" Hannah. Lindz- tears that our babies are growing up. She's lucky to have a momma like you.